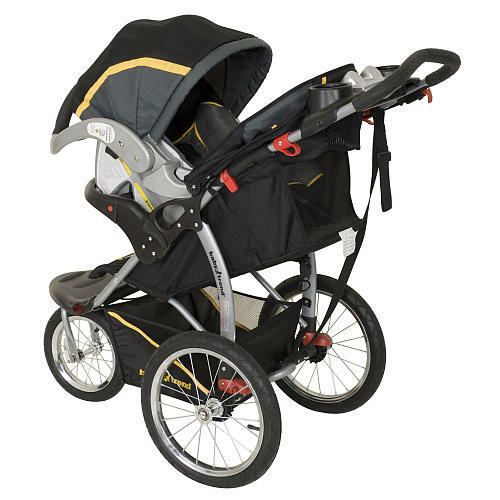 This JPMA certified Baby Trend Expedition LX Jogging Stroller in Sonic is comprised of lightweight steel construction, deluxe stylish oval tubing and a ratcheting shade canopy with peek-a-boo window. The parent tray includes built- in all weather speakers that will accept any MP3 player. 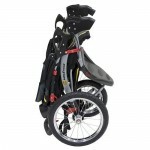 Features a remote release mechanism that allows you to lock the 12 front swivel wheel in place when jogging and unlock it for easy low speed strolling and better maneuverability. The 16 rear and 12 front bicycle tires can be quickly released for compact storage. 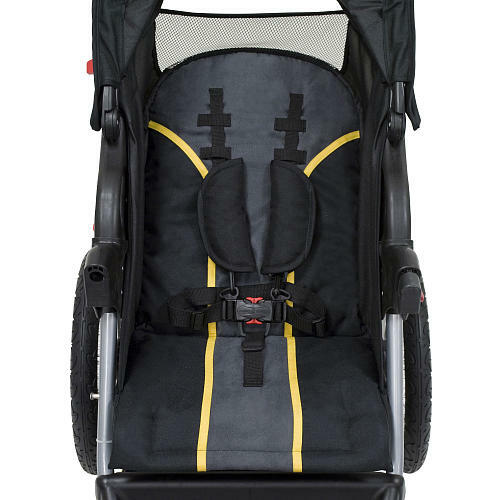 The front child tray includes two cup holders and will accept the top rated Baby Trend infant car seat to create a convenient travel system. 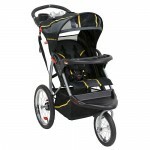 The canopy is adjustable with a covered sunroof that ratchets to block the sun and wind. The stroller also includes reflectors for low light visibility with an extra large storage basket. 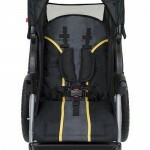 The stroller also includes a multi-position seat recline and a deluxe sun visor for protection from the weather.